This is another installment in our very occasional series on estate planning lessons learned from celebrities. By now you all have heard the sad news that Aretha Franklin has died. 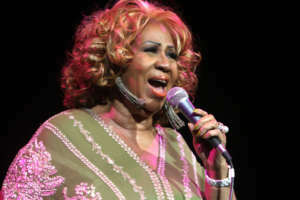 She left behind a rich legacy of music she recorded for our enjoyment over her long career. But what she apparently did not leave behind is an estate plan. A will or trust may yet surface, of course. However, each of her sons has filed a document with the court in Michigan claiming to be a person with an interest in her estate, and a niece has filed a request to be appointed personal representative of the estate. These are indicators that there is no trust. Moreover, according to her business lawyer, although he advised her repeatedly over the years to create a trust, the beloved singer, the Queen of Soul, died intestate. If Aretha Franklin did, in fact, die intestate, meaning without a will or trust as part of a written estate plan, her estate will be administered according to the laws of intestacy for the State of Michigan, where she lived at the time of her death. Since Aretha Franklin was unmarried when she died, her intestate heirs are her four adult sons. Her estate, estimated to be worth around $80 million, undoubtedly exceeds the threshold for probate under Michigan law, which is only $15,000. This means her family will have to go through a court-supervised probate process to pay her bills, debts and taxes and transfer what remains of her estate to her sons. It is not uncommon for people, even wealthy people who have lots of professionals telling them to do an estate plan, to die intestate. Statistics in California indicate that only 40% of residents have done any kind of estate planning. We don’t know why Aretha Franklin resisted creating her estate plan, but there are lots of reasons why people generally fail to do estate planning. We all tend to procrastinate, especially when it comes to things that don’t feel urgent or seem unpleasant. Thinking about your own death is never fun. Some people are superstitious; more than one client has admitted to me that they had an irrational fear that as soon as they did their estate plan they would die, so they naturally put it off. Although I know many lawyers who are wonderful, helpful people, many of my clients don’t have any experience with lawyers and are simply nervous or afraid about meeting with a lawyer. What Could Aretha Franklin Have Done Differently? If Aretha Franklin had held her estate in a trust her family could have avoided the public probate process. One of the most common reasons we use trusts so much in California is to be able to administer estates in private, without the delay and public nature of probate. 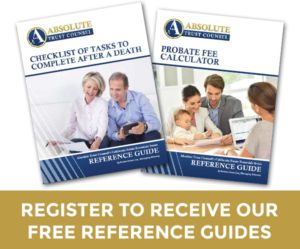 In addition, probate is almost always much more expensive in California than a private administration, primarily due to the attorney and executor fees involved. Those fees are a percentage of the estate’s value. If Aretha Franklin had died in California with an $80 million estate, the executor of her estate and the attorney for the executor would each be paid a fee of at least $188,000 and more likely well over $200,000. If Aretha Franklin had done some estate planning she could have reduced the estate taxes that her estate will have to pay. With an exemption from federal estate tax of over $11 million and a tax rate of 40%, Aretha Franklin’s estate will pay about $27 million to the IRS. We all have heard stories of very rich people who pay no taxes. Complex tax planning could have dramatically reduced Aretha Franklin’s tax bill or even eliminated it. Even something as simple as leaving 10% of her estate to charity would have reduced the tax bill by several million dollars. Most people can think of at least one charity they like more than the IRS. Planning is not just for reducing taxes, of course. In fact, reducing taxes usually isn’t very high on the list of goals for many clients. For most, what is important is making things easy for their families and making sure their intentions are carried out. Probate court is definitely not going to be the easiest path for Aretha Franklin’s sons. What Aretha Franklin also gave up when she chose not to plan was her ability to have her intentions implemented. With an $80 million estate she could have benefited many people and organizations and still left her sons enough money to be financially secure. She may have had friends, other family members, such as grandchildren, and favorite charities for whom a modest bequest would have been very meaningful. Pancreatic cancer, the disease Aretha Franklin died of, is almost always terminal and patients usually die in a relatively short time after diagnosis. The time to do estate planning is not when you receive a terminal diagnosis. Nobody should spend even one minute of their last months, weeks or days meeting with an attorney or going to the bank to retitle accounts. Sadly, I have had meetings with clients who died, as expected, within days. I’m always happy to help, but I wish my clients could have spent that precious time with their families. 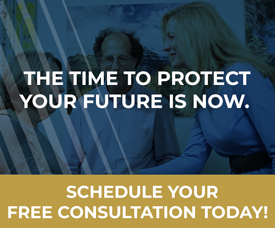 The time to do estate planning is when you are healthy and you have time. 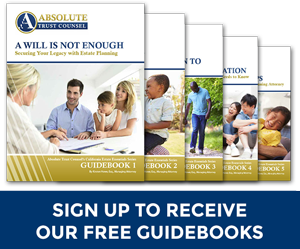 Estate planning is largely done for the benefit of those we leave behind, but taking care of it now, rather than later, benefits both you and them tremendously.